My name is Andy Austin, I’m a Montana based photographer and I recently spent three weeks chasing spring across Montana. In that three weeks I think I’ve been to every small town from the North Dakota border to the Idaho state line (and every brewery, coffee shop, and café too, of course). And with that you could imagine the pleasant sight it was to see Missoula’s city lights tucked into the mountains that surround it. 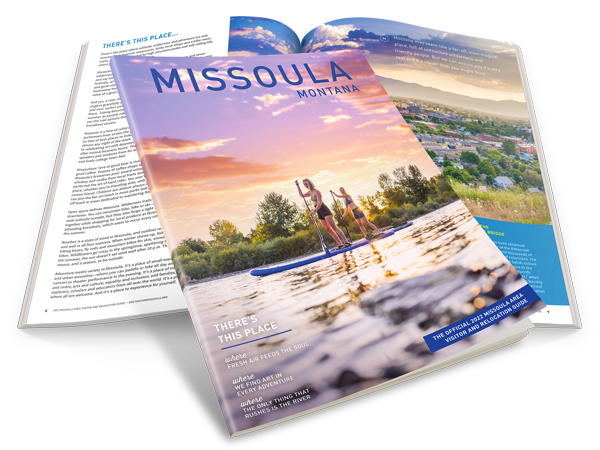 The blend of art, culture, and wilderness access make Missoula one of my favorite cities in Montana. I rolled into Missoula from Helena around dinner time and made my first stop Notorious PIG for some authentic BBQ to fuel me for the hike ahead. I chowed down on a brisket sandwich, grabbed my camera bag, and headed for Mount Sentinel. We dropped my car off at the M trail parking lot and headed to start our hike in Crazy Canyon. This allowed a more gradual approach to the summit of Sentinel, and to do the hike in the shade. Upon reaching the peak we were greeted to 360 degree views of Missoula, all within a short drive and hike from dinner. I plopped down and watched a distant storm and cracked a “summit-soda” from the a local brewery. The sunset after was one of the most unique I’ve ever witnessed, but I’ll let the photo speak for itself. 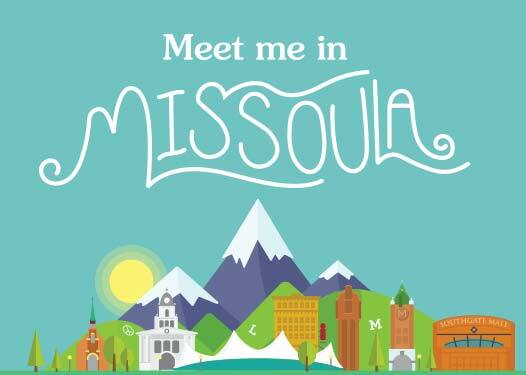 After a good night’s sleep at the Comfort Inn, I set my plan to tackle a jam-packed weekend in Missoula. I decided on breaking it down to two days: Saturday was to soak in the culture of the town and Sunday was to explore the nearby mountains and countless trails. I awoke to a rare rainy day, and naïvely thought that would put a damper on the farmer’s market plans for the morning. As it turns out, Missoulians aren’t even the slightest bit fazed by the rain and were out in full force to get all the goodies the farmer’s market had to offer. I, of course, grabbed a bourbon maple donut and a cup of coffee from Missoula’s own Black Coffee, and wandered the market. The rest of the day was filled with more good food than I could imagine, plus live music and local beer at Draught Works. I wandered the Hip Strip area and picked up some vintage clothing to help me blend in with the locals. To cap off a perfect culture day in Missoula, I met some friends at the Top Hat for bluegrass and dancing. Sunday arrived and it was time to attempt to burn off all of the good food from Saturday, so my friend, Karissa, and I headed for the nearby Rattlesnake Wilderness. We hopped on one of many trails and started wandering until we saw a faint path heading up the side of a smaller mountain. We decided to take that one up to see if we could get some views from above, and it did not disappoint. Hiking in the trees I had no idea of the scenery we were currently even hiking through until I got above tree line to look all the way back onto Missoula and the incredible mountains in every direction. I mistakenly thought that a weekend spent exploring Missoula would even scratch the surface of the town, but I couldn’t be more wrong. With enough trails to keep me busy for months (if not years) and enough breweries to try a different summit-soda for each one, I knew that it’s going to take many trips back to Missoula to truly report back on the town. Andy Austin is a Montana-based adventure photographer. To read more about Andy’s Montana Spring Road Trip, visit andyandthevan.com.